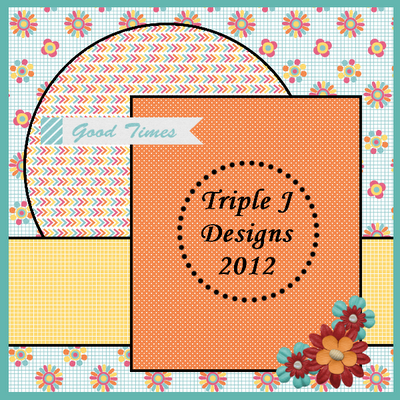 one happy little crafter: The one that was made specially for a crafty buddy! The one that was made specially for a crafty buddy! 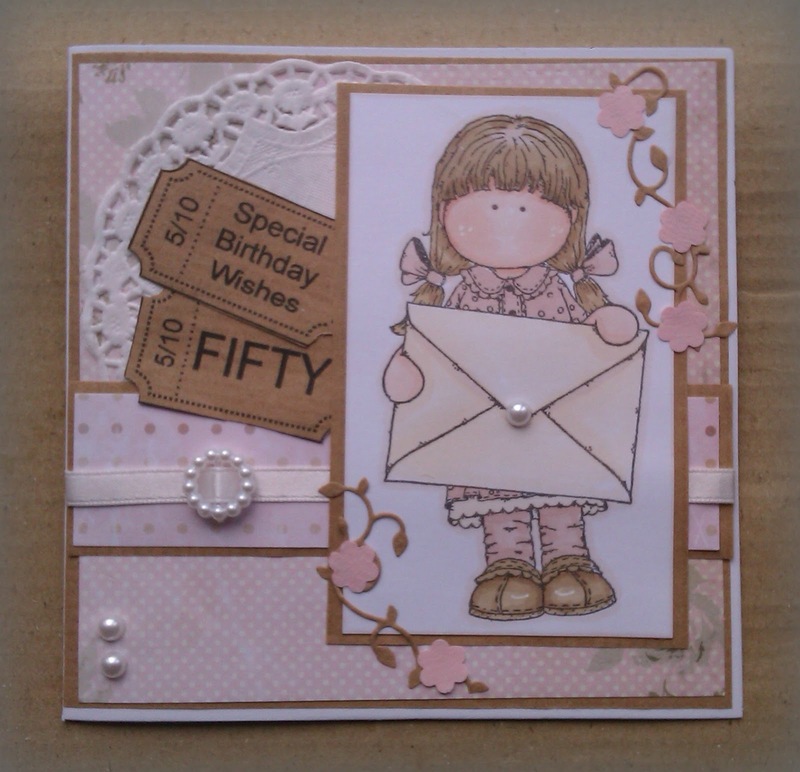 So, onto todays card and this is a birthday card I've made for a lovely Docraft and blog friend Carol, who as you can see is celebrating a bit of a spesh birthday. This is gorgeous Lisa. I love the image and beautiful colour scheme. Pretty card Lisa, sorry to hear you haven't had a very good day, I hope tomorrow will be better for you. 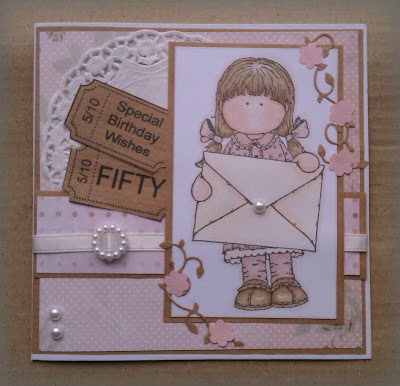 Gorgeous card Lisa, love the sweet image and pretty colours. This is so cute ... great job Lisa! Thanks so much for joining us at The Sisterhood ‘BIRTHDAY’ challenge and please come back again soon! Sounds like one of those days when you should have stayed in bed! so gorgeous lisa.i love your soft colours and adorable image. i hope you are having a better day today. Super super cute! Love the ticket idea and the placement of the pearls - this is gorgeous. Thx for playing with us at Seems A Little Sketchy! Love those vines & flowers :) Perfect colors on this beautiful card. All the layers are perfect. Thanks for playing along with The Sisterhood Of Crafters for our Happy Birthday Challenge. Lovely birthday card! I love that image, the doily and how you did the sentiment on the tickets. 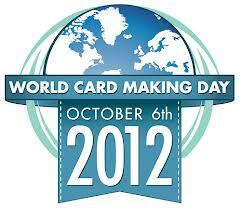 Your friend will also be happy you didn't to the traditional black over the hill card. :) Thanks for joining us at Seems a Little Sketchy! Gorgeous card Lisa, thanks for joining us at AGOAC.